Interesting explanation. 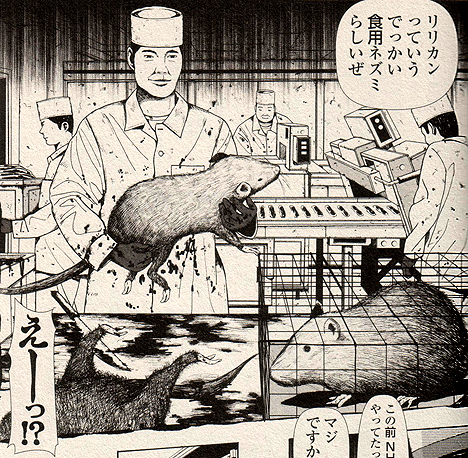 I had no idea nutria is edible. In Poland urban legend is that that cheap "Chinese" food chains use rats or pigeons. Rat meat in fast food!? Well, it is more than likely not true. Although, if it is true I would not be surprised. I love this "urban legends" theme. What a great idea. Keep up the good work. 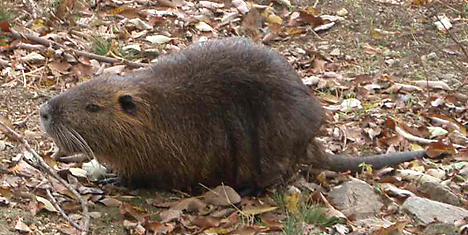 here in south america lives the largest living rodent in the world: the capivara ( http://en.wikipedia.org/wiki/Capybara ). Old guys say it was quite normal to eat them in the country side. I thought most animal meat was edible, in fact, the higher the cute factor the tastier people seem to find it! The nutria makes complete sense. These, along with the invasive giant Asian carp now plaguing the Mississippi River system, are on the menu in a lot of restaurants along the river and especially in Louisiana. lol We have a nutria rat problem here in Louisiana too for the same reasons. I don't think it's cats and dogs in Lithuania, probably just stray gypsies! Remember when George has elaine buy him a big Russian hat and then he leaves it at a chicks house but elaine needs a reciept because she bought it on her J Peterman expense account so they buy a cheap hat in Central park but the accountant says it's fake and Jerry shakes it in the Kenny rogers Roasters and Elaine goes to the Orient to see Peterman whose doing his whole "DO you find my methods unsound?" routine and then he says he has to see this hat? Well, it was Nutria that the accountant says the hat is made of. Meat is meat. If it's "natural" and doesn't have any taint it's perfectly fine to eat it. Trust me, after marching for hours in a drizzling rain, on a cool autumn day, with a 100lbs pack on your back, tinhat, rifle and the rest of the gear, you'll eat anything.